The average gym's annual revenue in the US is less than 300,000 with earnings before taxes, interest, and depreciation is 78,086, and it's even less for smaller studios. How can you build your gym so that you can be the best in the industry? ...has a team of superstar trainers that is so vested in the business that your success will never end! 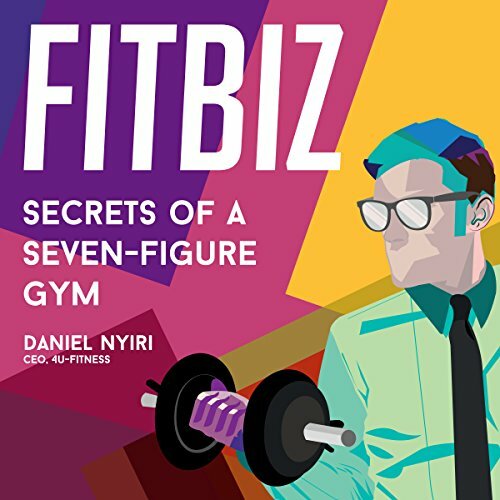 The answer is here in FitBiz by Daniel Nyiri. From humble beginnings of just 150 to his name, to a multi-million dollar brand and franchise business, 4U Fitness, Daniel Nyiri has learned the ins and outs of what it takes to build a truly successful business. In this book Daniel shares the strategies necessary to achieve long term success as a gym owner by teaching you how to work on the business instead of in it. You'll learn invaluable information to apply to your gym so that it too can become a seven-figure business. View More In Mentoring & Coaching. If you have any questions about this product by 4U Fitness, contact us by completing and submitting the form below. If you are looking for a specif part number, please include it with your message. By Gene Hammett, Core Elevation, Inc.